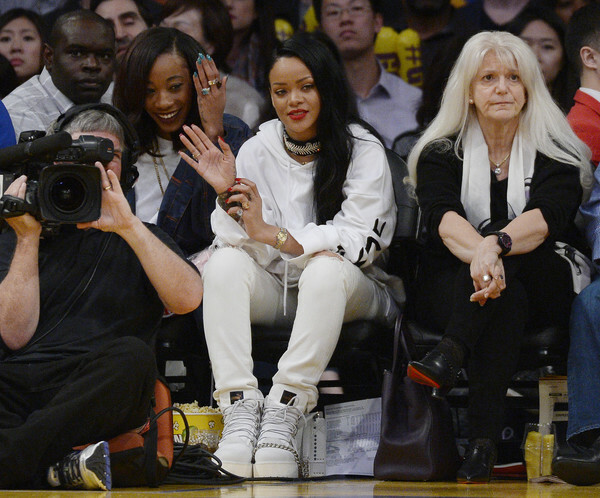 Rihanna attends a basketball game between the Los Angeles Lakers and the Golden State Warriors at Staples Center March 6, 2016, in Los Angeles, California. *Rihanna can add another trophy to her collection. The “Work” singer will receive the Rock Star Award at BET’s annual “Black Girls Rock!” event. The show will tape April 1 at the New Jersey Performing Arts Center in Newark, New Jersey for an airdate of April 5, BET announced Monday. Other honorees include writer-producer Shonda Rhimes, R&B icon Gladys Knight, “The Walking Dead” star and playwright Danai Gurira and actress Amandla Stenberg. 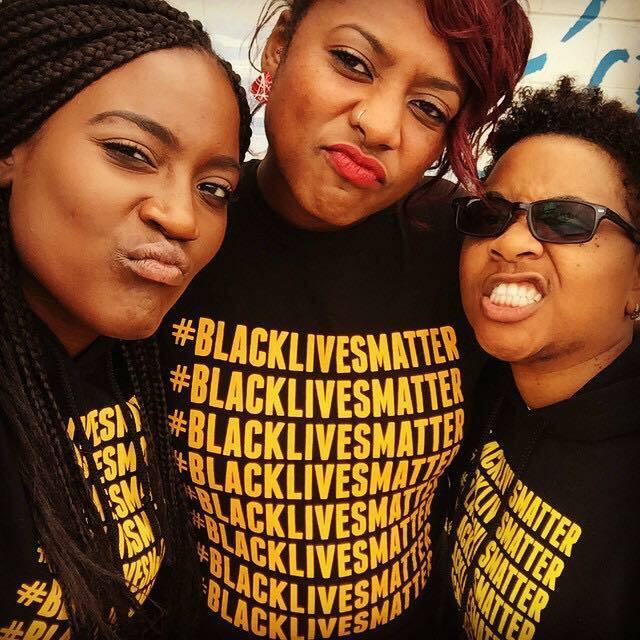 Patrisse Cullors, Alicia Garza and Opal Tometi, founders of the Black Lives Matter movement, will also be honored. Tracee Ellis Ross, star of ABC’s “black-ish,” will host the event.